The Berry Schools write to Miss Worley to thank her for the gift to help the rebuilding of Crozer Hall. 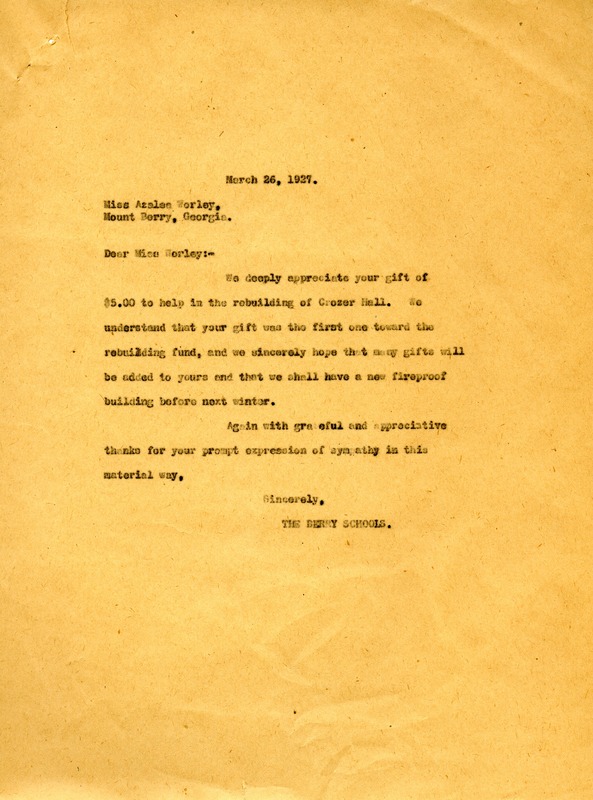 The Berry Schools, “Letter to Miss Worley from The Berry Schools.” Martha Berry Digital Archive. Eds. Schlitz, Stephanie A., Rachel Renaud, Aaron Jackson, et al. Mount Berry: Berry College, 2012. accessed April 18, 2019, https://mbda.berry.edu/items/show/6222.